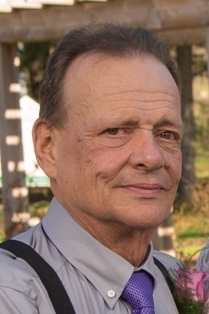 Peter Paul Vincent Booker, 74, of Whitehall, passed away February 3, 2019. Born in Hendon, England on May 25, 1944, he was the son of the late Donald Hector George Booker and Ada (Wiltshire) Booker. Peter was the loving husband of 32 years to Maryann (Perkosky) Booker. He was an avid reader and golfer. He is survived by his beloved wife- Maryann Booker; sister- Susan Blanchette of Woodstock, CT; brother- John Booker of Norfolk, England; several nieces and nephews; 2 children in England. He was predeceased by his brother- Ian Booker and sister- Mary Wade. As per Peter’s wishes there will be no services. In lieu of flowers, contributions can be made to the American Heart Association or to the Alzheimer's Association care of Kohut Funeral Home, Inc.
Francis J. Biszek, 80, of Allentown, passed away July 13, 2018 in his home. Born in Bethlehem, he was the son of the late Frank Kush and Frances (Alban) Biszek. Francis served in the U.S. Marines Corp. He retired from G.E. and was a member of Ss Peter and Paul Polish Catholic Church. Survivors: niece- Roseann Danilovitz and cousins, great nieces and nephews. He was predeceased by his sister- Theresa Cernobyl. A graveside service will be held on Monday, July 23rd at 10AM in Sacred Heart Catholic Cemetery, located off of Fullerton Ave in Whitehall. Arrangements entrusted to Kohut Funeral Home, Inc.
Joseph Geza Benkovic of Nazareth passed away Wednesday, November 8, 2017. Joseph was born in Allentown to the late Joseph Benkovic and Mary (Bolez) Benkovic. He is predeceased by his sister Joan and survived by a brother Nicholas. Joe, who was also known as “Fats”, was a well-known local musician who was widely respected for his talent on lead guitar and accordion. He was a member of numerous local bands for 50 plus years. He enjoyed participating in the 40th anniversary reunion for the band “Uproar” at Musikfest, which was a big success. Joe was a passionate and skilled fisherman who spent many hours reeling in catches at the Lehigh River and anywhere else he could cast his line. He enjoyed fishing with friends and his grandson Connor. Joe was a loving husband, father, and grandfather. He was a beloved uncle to many nieces and nephews and played an especially large role in the lives of his nieces Nichole Treiber and Jennifer Soriano. He was affectionately known as “Poppy Joe” to Nichole’s daughters Tylar and Alexandra. Survivors: Wife - Kathleen (Kate Kotran) Benkovic, Daughters - Corina K Cook wife of Peter Cook of Nazareth, Krista M Kuczynski wife of Edward Kuczynski of Bethlehem and Grandson Connor Cook. Services: A viewing will be held Tuesday, Nov 14th 6-8PM and Wednesday, Nov 15th 9-10AM in Kohut Funeral Home, Inc. 950 N. Front St. Allentown, PA 18102. Mass of Christian Burial will be celebrated on Wednesday, Nov 15th at 10:30AM in St. John the Baptist Slovak Catholic Church 924 N. Front St. Allentown, PA 18102. Burial will be Private at a later date. and many nieces and nephews. 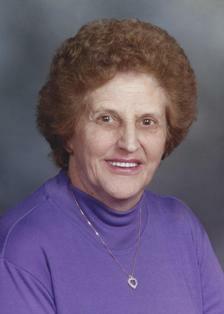 Services: She was always very active in her church. Services will be held Tuesday at St. Mary's Ukrainian Orthodox Church 1045 Fullerton Ave Allentown, PA. It will be officiated by Fr. Andrew Koufopoulos and Fr Anthony Perkins, Liturgy will be at 10:30 with open viewing 9:30-10:30 prior to the service. Graveside services immediately following. In lieu of flowers, donations can be sent to Heartland Hospice of Allentown or Fellowship Community of Whitehall. Arrangements entrusted to Kohut Funeral Home, Inc.
Lorraine A. 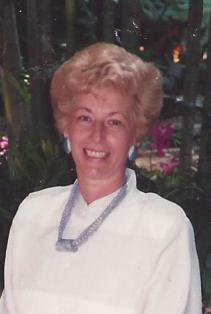 (Ritter) Becker, 80, of Allentown, passed away March 18, 2016. Born in Allentown, she was the daughter of the late Joel and Alice (Benz) Ritter. She retired from Western Electric after over 38 years of service. Lorraine was a volunteer coordinator at St. Paul’s Lutheran Church for their Thanksgiving dinner. When she was young she enjoyed doing the Jitterbug. Lorraine cherished her family and loved vacationing in Louisiana with her companion Jim Peel. She also loved Engelbert Humperdinck and Dancing with the Stars. Daughters- Debra Loch and companion Eric Bergman, Donna Becker; Grandsons- David Loch and fiancé Jennifer Malcolm, Daniel Loch and girlfriend Caitlin Schultheis; Great Grandchildren- Logan, Allie and Cody; Brother- Donald Ritter, retired missionary and wife Liz Ritter. She was predeceased by her brother- Gary Ritter. A Calling time will be held on Wednesday March 23rd, 5-6PM with a Celebration of Lorraine’s Life at 6PM in St. Paul's Evangelical Lutheran Church 38 S 8th St, Allentown, PA 18101. In lieu of flowers, donations can be made in Lorraine’s memory to a charity of one’s choice. Arrangements entrusted to Kohut Funeral Home, Inc.
Dolores A. (Poulton) Blauert, 95, previously of Naples, FL and Manassas, VA, passed away Sunday, March 6, 2016. She was the loving wife of the late Otto K. Blauert. Born in Oswego, NY she was the daughter of the late Aleksi and Caroline (Wapen) Poulton. She is survived by her children Gary (Janelle) Blauert of NM, Maryann Blauert of NH, Peter (MaryLouise) Blauert of PA, Mark Blauert of VA, John (Cassie) Blauert of CA and Susan (Jim) Cousounis of PA; grandchildren Russell Blauert, Scott Blauert, Stephen Blauert, Marissa Sweitzer, Jonathan Blauert, Christopher Blauert, Shelby Blauert, Nicole Cousounis, Kyle Blauert, Karlee Blauert and Kelli Blauert; step-grandchildren Maleah and Mariah Lopez; and great grandchildren Lincoln, Tyler and Olivia Blauert and Theodore Blauert. A Mass of Christian Burial will be celebrated April 9th at 12PM in Epiphany of Our Lord Catholic Church 3050 Walton Rd Plymouth, PA 19462 with a calling time to be held 11:15-11:45AM previous in the church. Burial will take place at Arlington National Cemetery with her husband. In lieu of flowers, contributions can be made in Dolores’ memory to St.Jude Childrens Research Hospital. George P. Bittenbender, 68, of Allentown, passed away February 17, 2016. Born in Allentown, he was the son of the late Agnes S. (Novasat) and George H. Bittenbender. He worked for Bethlehem Steel as a millwright and then for PP&L Electric as a lineman until his retirement. He was a member of St. John the Baptist Slovak Catholic Church, participating in their weekly Mass. George was an avid bowler and an animal lover. He was an active rescuer of dogs and other animals. Children- Matthew Bittenbender h/o Beth of Muncy, Andrea Ritter of Allentown; Grandchildren- Jeremy Alex Ritter, Keira Susan Bittenbender, Sophie Marie Bittenbender; sister- Judy Ensor of TX; brother- James Bittenbender of Germansville; 5 nieces and nephews; 2 dogs- Sasha and Gretchen. He was predeceased by infant daughter - Paula. A calling time will be held on Monday 9-10AM in Kohut Funeral Home, Inc. 950 N. Front St. Allentown, PA 18102. Mass of Christian Burial will be celebrated Monday at 10:30AM in St. John the Baptist Slovak 924 N Front St. Allentown, PA 18102. In lieu of flowers, donations can be made in George’s memory to his favorite cause the Mid-Atlantic Great Dane Rescue League PO Box 285 Hanover, MD 21076.